Detailed information about office property which situated in Maryville (37801) city, Tennessee state on Foothills Mall Dr. Upscale business area near Foothills Mall. 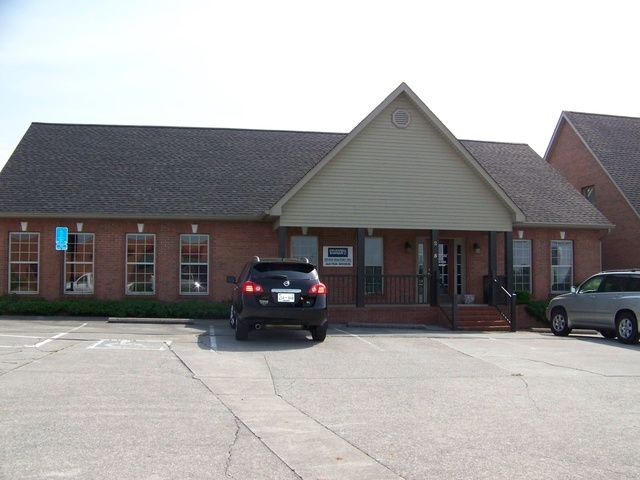 Additional Information: 2304 commercial attached office space for lease. Set up for real estate office. Includes conference room with computerized projector projector which can be connected to Internet, flat screen TV with DVD player, large conference room with table and chairs. Break room with microwave, refrig w/ice makeer, barstools, sink, file space plus dedicated copy/scan/fax machine room with ample storage cabinets. Crown moldings, full bath and large reception area, 9 individual offices with Internet connections. One level with plenty of parking, storage room. Blinds at all windows. Exterior security cameras. Owner pays mowing and landscaping upkeep. Modified Net with renter to pay annual city and county taxes of $6585 plus utilities and maintenance. Average total utilities per month including water, electric, gas, sewer: $280.Security door locks, renting completely furnished with desks, reception furnishings, handi-capped accessible bathroom. Wired for computer network and phones. NOTE: Please contact with Julie Nelson if you want to get more accurate details about pricing and availability of office property For lease. Company: Coldwell Banker Nelson Realtors, Inc.
All information about office property For lease that located on Foothills Mall Dr, Maryville, TN 37801 was obtained from reliable sources, but we cannot guarantee that all data about pricing, details of the building and property was completed without error or has not been changed without notice or withdrawal without notice. If you want to get complete and actual information, please contact with agents.